When one thinks of addictions, it’s either drugs or alcohol, yet in fact there’s so much more to it. As the numbers of people dealing with obesity are constantly on the rise, we see the food addiction come to light as of late. Same as any other addiction, binging on food has a psychological and biochemical component, creating the sort of dependence one simply can’t seem to get rid of, and for most people it’s because the connection with food is actually triggered by some emotional need. I’ve been down that path for quite some time now, and whenever feeling unpleasant feelings such as anger, despair, failure, rejection, anxiety, guilt, or shame, food has always been there for me, providing the comfort, and emotional sense of security, the means to calm me down. Though it’s long been the mechanism helping me cope with life, I had a scare when my health started failing me, and after several visits to doctors, I knew it was high time I did something. The first thing I did was taking charge of mobility, with the help of bariatric aids. The heavier you become, the more of a challenge being mobile becomes, and the less willing you decide to be and get on your feet, especially if you have someone at home you can rely on to prepare and bring your food, or even help you with maintaining personal hygiene. That’s exactly where you have to draw the line, unless you want to end up confined to your bed. 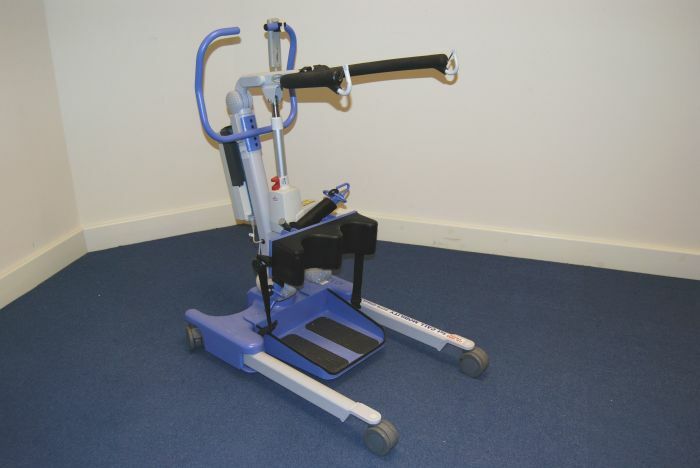 Bariatric aids, with their heavy weight-bearing capacity, have been specifically designed for the purpose of helping people like me keep their independence, from the most helpful rollator, and XL scooter, to the particular equipment for assistance with hygiene, like the ingenious bath lift, and shower chair. Get those aids, and keep on moving! And oh, throw in some exercise in a few days; weight lifts can be a good start. If you set your mind to it, you can really make it. I often get filled up with positive feelings hearing of inspiring stories where people manage to shred that extra pile of weight without the RNY (Roux-en-Y) gastric bypass surgery. The determination you set for yourself is the key to success; besides, surgery can help for a while, but not entirely if you keep on with the same eating habits as before you even had the surgery. It’s what keeps me motivated to continue, and get that successful outcome. Apart from getting well informed on the calories of meals, it’s advisable to write a diary daily, noting improvements, and following your success. It’s needless to say fast food is a definite no, and I’ve been able to stay away from it by looking up healthy recipes on the internet, enjoying the cooking as well. And, of course, it’s necessary to cut down on sugars, little by little, and then entirely leave them out of your diet, except for the natural sugars in fruits.